Generally, restaurant customers are searching using one of two ways to find a restaurant, either by name or by category. 1st Entry: Prime Pub's website (D'Arcy McGees corporate website) with complete corporate information. 2nd entry: Urbanspoon listing for D'Arcy McGees which features user submitted restaurant information (e.g. address, hours, website, Facebook, Twitter, etc. ), diner reviews (e.g. media, diner, blogger, etc.) and pictures. 4th entry:Yelp! listing for D'Arcy McGees featuring similar information to the 2nd entry above. Further down the page are also a social media listing for D'Arcy McGees on TripAdvisor. 1st entry: Gabriel Pizza corporate website. 2nd entry: Urbanspoon.com's listing of restaurants serving pizza in Ottawa sorted by popularity among it's users. 3rd entry: Yelp.com's listings of restaurants serving pizza in Ottawa sorted by popularity among it's users. What does all of the above 7 entries from basic Google searches show? That 5 out of 7 top search result entries are social media platforms with niche market (i.e. restaurant industry) social media platforms doing exceptionally well. But why does social media, especially the niche market platforms do well? Urbanspoon, Yelp! and TripAdvisor do well because each website's staff ensure their website is optimized to load quickly while their user base provides fresh content on a frequent basis. These characteristics are great for Search Engine Optimization (SEO) because it is exactly what search engines look for: fast loading, fresh new content and keyword content. With both popular social media (e.g. Twitter & Facebook) and niche market content featured prominently in various search results what is a business owner to do? First Step: Figure out what are your niche market social media platforms and sign up for free basic accounts with each of them. Second Step: Update or add information to ensure prospective customers can find what they are looking for. In the restaurant industry Urbanspoon, for example, has spaces for restaurant addresses, phone number, website and some social media links. Third Step: Claim the restaurant owner profile listing. This allows you to respond to any positive or negative reviews about your restaurant. Be careful though, as there is a fine art to responding to these so do your research or obtain the services of an outside firm as many a restaurateur's reputation has turned sour by doing this but a lot of restaurateurs have also been seen as positive. Fourth Step: Promote your listing on review websites on your website and in your store. Many review websites even allow you to order stickers for your retail location. This encourages your regular customers to post a review saying how great your business is so others will know. These reviews also increases the amount of content your business has and improve the search engine ranking of the review website. Why go through with all the above? Social media platforms, beyond Facebook and Twitter, tend to be optimized for those interested in a certain industry or as target markets for businesses. In the restaurant field, Urbanspoon concentrates on restaurants with features like photos, menus and reviews from a variety of sources all in one place. With so much rich information that the average customer is looking for, Urbanspoon results tend to rank well. The same goes for TripAdvisor listings. TripAdvisor is built around the tourist industry. Thus, rankings of hotels, restaurants and attractions are provided for those visiting from elsewhere. Would the tourist crowd be beneficial to your business? Most definitely if you are a food establishment looking for either tourists who are passing by on the highway or staying nearby for a week. Customers of these spots are looking for great places to stay and be entertained as well. Therefore, TripAdvisor is not only beneficial for the restaurant industry but also lodging and attraction sectors of the tourist industry. Finally, make it easy for prospective customers to find the information on your business. By widely advertising your products and services, your offerings are more likely to be found. 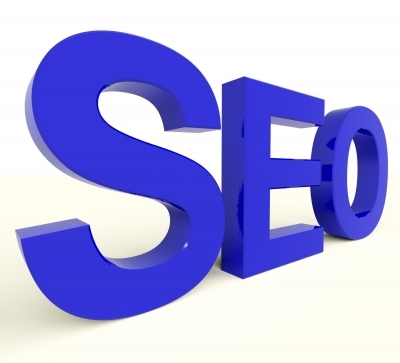 Customers use search engines like Google on a frequent basis to sort and sift through information. Search results change over time with some results rising while others decline. Therefore, you never know where customers will search and find information on your company. So it's important your message is out there as widely as possible and not hidden in one place. To be easily found make sure to take advantage of the wide variety of opportunities social media provides to promote your business by engaging in platforms like Urbanspoon today! Need Help with Urbanspoon, Yelp and/or TripAdvisor? Suddcorp Solutions can help with award winning expertise in ensuring your business rises to the top on these platforms.